Know more about items before buying. 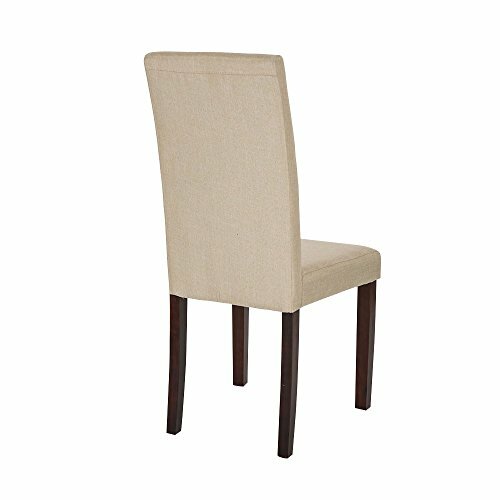 Give your contemporary home an elegant touch with the stylish and elegant dining chair. Featuring a solid wood frame, this chair stays strong for years. It is functional, stylish and will easily stand the test of time.. . Brand Profile. Glitzhome is a US registered trademark based on Texas USA. We are the professional designer and crafter of home decor products with more than 10 years' experience. Hope you could find your favorite items to add some fresh elements to your home.. . 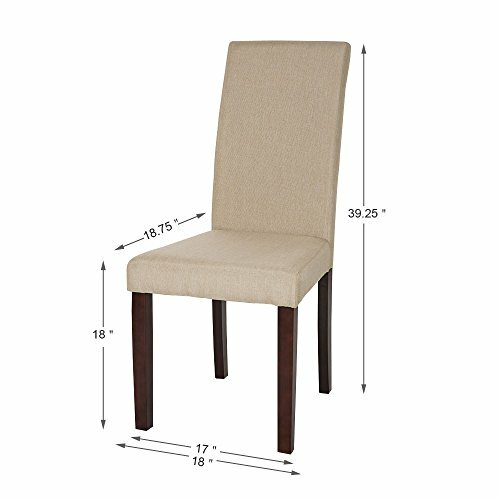 Product Specifications. . Package include:Dining Chairs*2 pcs. . Color info:Beige. . Material:Fabric, Plywood, Hard wood. . Size:22.05"L x16.93"W x38.98"H. . . We assure the item you received is 100% safe and sound. For any defective item, please contact our customer service for satisfaction guaranteed solution. 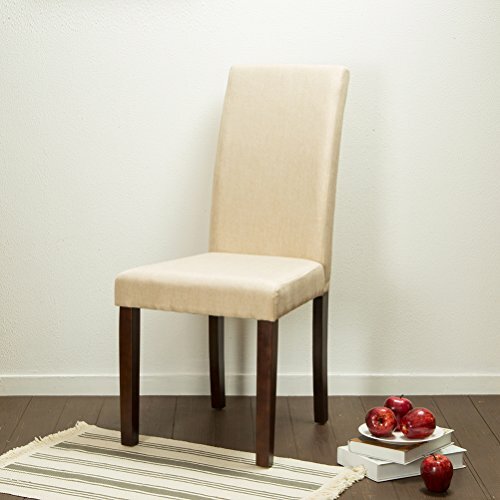 COMFORT DESIGN: This dining chair features hardwood frame. 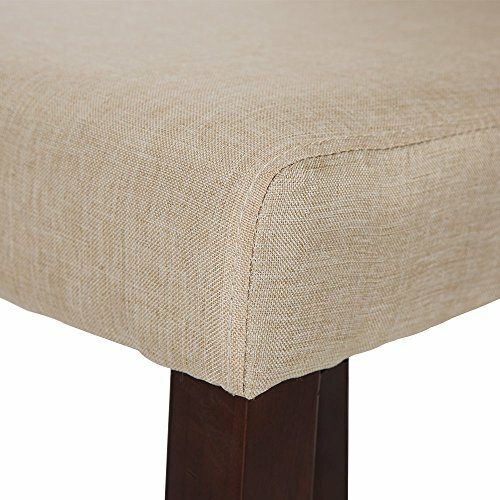 The seats and back rest are constructed of thick foam padding that are meant to provide comfort for you and your guests. EASY ASSEMBLE: It is very easy to assemble by following the instruction. Leaving you stress-free and with a little extra time on your hands. Instructions and assembly tools included. 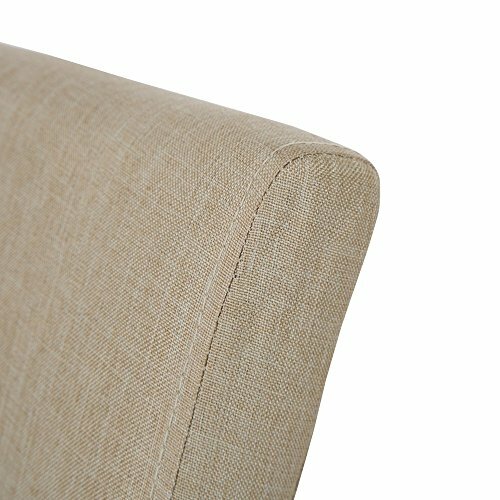 MULIPLE USE: It is suitable as a dining chair or as an accent chair. 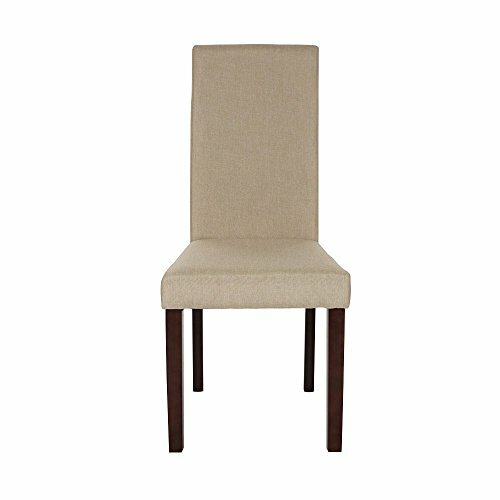 It can be used in a dining room setting or placed alone with a desk or writing table, creating an individual seating area. DECORATIVE ACCENT: The classic clean lines and simple styling mean this piece will look great for a long, long time. 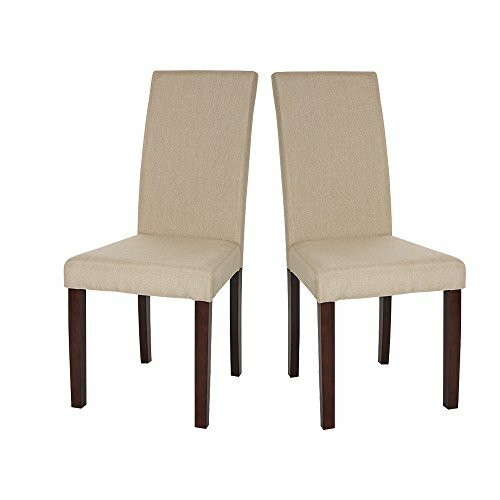 VARIETIES OF SELECTION: Glitzhome offers different selections of crafted metal chairs, dining chairs and bath/counter stools. Just kindly check our store and sneak a peek at most popular chairs.